I hope EVERYONE discovers Gimpy’s Secret! Thank You!…for Gimpy’s Secret….It’s What’s Missing! It’s always encouraging to learn of resources which address such relevant topics as love and relationships. We hope that many more individuals will benefit from this book, and we wish you all the best as you move forward with your project. May the Lord bless and guide you in all that you undertake to accomplish in His service. 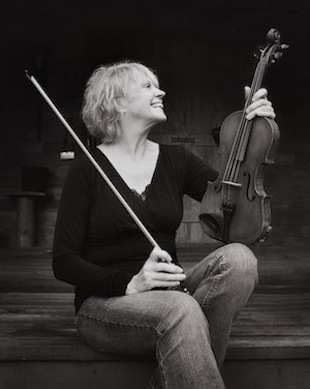 Creative, captivating and inspirational for children of all ages, Ms. McLellan’s story of Ellen’s encounter with Gimpy and his lessons of love has been a joy to read for the students and staff alike at the Tennessee School for the Blind. Many of our students genuinely appreciated having the book made available to them in a medium they could read themselves. As educators committed to teaching life skills in addition to the academics, our faculty found Gimpy’s Secret …. It’s what’s missing ! an invaluable resource with which to impart the virtues of kindness, consideration, and respect. Our sincere gratitude to Ms. McLellan for sharing her story with us and for permitting the book to be made available in Braille medium. Recently I picked your book off the pile, and I could hardly put it down. Wow, you have created a masterpiece, not only as a children’s book, but for adults as well. It is fun, insightful, intriguing, and so full of powerful messages. At a number of places, and especially at the end, I just felt overjoyed with amazing feelings. I laughed, cried, shook with excitement, and stopped to ponder deeply the meaning in my own life. I believe I do a good job of applying Technologies of Love, yet I know I will be doing it with a bit more intensity now. Thanks to Ellen and Gimpy, and especially you, Elaine. If I could reach you, I’d give you a big, Bigger, and BIGGEST HUG!! Golly, I hope millions of adults and kids read this book. I’d like to give it to every couple we work with, encourage them to read it, and encourage them to read it with their kids. And every teacher in our schools could benefit by reading it themselves, let alone sharing it with their classes. I loved Gimpy! It is a heartwarming multi-layered gem. It covers so many life lessons which I wish I’d learned in school. I looked at the list of characteristics and thought “I’m a highly educated counselor and know all this.” I’m so glad I read the book anyway becaused it delivers a powerful emotional imprinting and showed me how much more I could do to foster love. Bravo for writing it. I hope this book ends up in many classrooms because it will help children side-step much of the hurt that peer-pressure and bullying can cause. It was invaluable for this adult to read! After losing our first baby, late in pregnancy, the arrival of our second firstborn son was a highly anticipated moment! All of his firsts have been momentous occasions. As I’m sure that most mothers feel my love for this tiny creature is indescribable! I want only extraordinary things for him and a life full of joy and love flowing both toward him and from him. That’s why I could think of no better choice for my first book to read to him than Gimpy’s Secret. What beautiful words to speak over my son from his infancy. What a great message to raise him with! I look forward to reading this book to him and his siblings throughout the years. It is my hope that they will listen to it’s words and that with the help of such wonderful works as this, I’ll be able to raise children who are truly beautiful inside and out. This book will surely mean so much to so many over the course of time because of the love the author has put into it. She has poured her heart into this book and I think that can be felt whether you know her personally or not. For my part, I can personally attest to her beautiful spirit and consider the display of it in this book such a treasure as she is the great grandmother of my son. Thank you, Mema, for such an incredible legacy for my children. Teaches important life lessons for all ages & will enrich the lives of all who read it. I found comfort in your book! I LOVE Gimpy’s Secret, “It’s What’s Missing”! I apologize for being so slow to write to you. My pace maker keeps me low on energy and close to home. Your book gave me some much needed comfort. -YOU ARE QUITE A TALENTED WRITER ! CONGRATULATIONS ! Hello Gimpy. How are you? I have read your book 2 times! It is a great book and you are a great chicken! Are you going to come out with a series? I think that would be cool and it would also be cool if they made a movie about your book. Keep cluckin’! 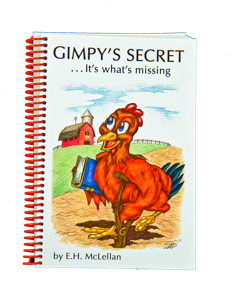 I am thrilled to receive my very own autographed copy of Gimpy’s Secret. . .it’s what’s missing. As I read it, I found myself drawn again and again to the images and words of wisdom found in its pages. I am looking forward to showing it to my granddaughter, daughter-in-law, and son in Colorado Springs, CO, and to my brother in Spur, Texas. I can guarantee you that Gimpy has found a home with me and my family, and that I will share this book with my friends and their families. I truly feel blessed with our new friendship and with my new friendship with Gimpy and friends. I read all of Gimpy’s Secret . . . it’s what’s missing, last night, think I cried every other page. Last time I cried was 60 years ago when my mother would read me black beauty and the people were mean to the horse. and of course when Daniel got thrown into the fiery furnace. Yesterday I bought the first 3 books off the press. They were bought for people with little children. After reading the book I want 3 more for much older people one of which is 66 like me. If everyone in the world would read, Gimpy’s Secret, and let it sink in, what a nicer place we would live in. Family of 8 LOVES Gimpy! Gimpy is indeed what is needed….a simple, practical and immensely entertaining presentation! 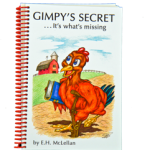 A gentle story filled with many lessons to help those of all ages recognize Gimpy’s Secret……when it’s there and when it is not! My children, grandchildren and I have enjoyed the book immensely! Gimpy is a much loved and recognized creature in all of our lives. Clever, Insightful, Educational & Motivational! 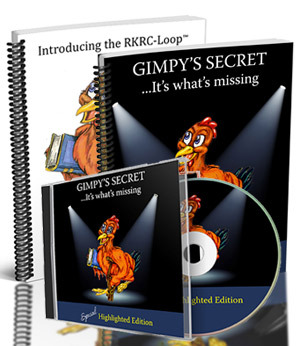 Gimpy’s Secret is very clever, insightful, educational and motivational. The first part of the secret, “Attentiveness”, seems to be missing in most relationships today. Reading Gimpy’s Secret is fun and so helpful in making you aware of what is needed to improve your personal relationships. The secret and the answer are cleverly presented in the book. The illustrations are precious. Reaching the heart, soul, & mind! Putting Good Manners to Use! I want to thank you for the book, I have read it and loved it so much, it is full of positive words, the message in it is wonderful, I think is the kind of book that our children should have available at school, I believe that they would love it too. As I was reading it it made me realize that many times even grown ups need a little remainder about being nice and to put our good manners to use; sometimes we forget we have any. Now I’m going to try to persuade my 12 year old daughter to read it. Thanks again. I read your book and enjoyed it very much. It was well done. Thank you so much for thinking of me and giving me your book. I had a wonderful time reading it! After reading the book I’m sure you don’t think anything is just random, but by the Lord’s great design. Reading your book now was a time the Lord was widening the knowledge of his love for me. Thank you for your encouraging words and waves in the mornings, and I thank God for placing you here as my neighbors. Gimpy is a MUST read! A friend of mine here had both feet operated on and was laid up. I loaned her Gimpy on Monday and she called today and said she just LOVED it. She said she feels you are going to be successful with your story beyond measure. She just thanked me and thanked me for letting her read it. I thank you for writing it. I’ve simply enjoyed this masterpiece of literature!! It is pleasing how a disadvantage chicken can breath new life into a self-centered child and slowly and effectively change her attiude and thought processes towards others for the good!! It also, in one sense, compares Jesus and the chicken. Both were born in a barn, spoke messages to change people for the good, and that message when learned properly will remain forever in thought and action!! A beautiful book, I am, and have been blessed to read it. The fabulous illustrations are a caveat and match perfectly the incredible life learning messages found in Gimpy’s Secret! This book has something very important for everyone, regardless of age or experience. Can’t wait to share it with my niece…she will love it! What a delightful book you have put together. I had not heard the term “Gimpy” since I was kid living in the United States in Gunnison Colorado and that was in 1958! I have a God-Child named Ellen who will be 16 in April. I’m sending her a copy for her birthday…She might just recognize HERSELF within the pages. I shed a tear when I read page 183 about the characters in the book. Using REAL PEOPLE for the characters in your book make it all the more REAL! I had to laugh at Ellen in the beginning of the book…been there, done that! Laughing and crying all in one wonderful book, WOW! Thank You, for your delightful book! Reading and steering with my knees! I received an email about this little book. I was almost ready to delete Gimpy, that is until I read the first 20 pages on the website. All that did was wet my appetite for the rest of it. So, I ordered 25 books. I received the books the next week. I was driving from Albuquerque to El Paso on I-25. I tried not to read it while driving, but, alas, my knees grabbed the steering wheel, and I grabbed the book. By San Antonio, NM, I finished……a better person. I have already sent 2 copies to my pastor, and sent a copy to a school superintendent I know, and I encourage all to read this book, and read it to those in your family who cannot read. Get this book and give to everyone you care about. You could not choose a better birthday gift. It contains a life restoring message. So, hurry…….and don’t drive with your knees!! Thank you so much for “Gimpy’s Secret”, a timeless piece of ART. This BEAUTIFUL story is very easy to relate to for EVERYONE and has touched me DEEPLY! I absolutely LOVED the book, could not put it down, so read through in one day, and when I have reread this week, our children and others ++++++ will learn this wonderful story with it’s PRICELESS MESSAGE! A must “Read and Experience” for Everyone! …note from the author. I would like to draw your attention to the next two very special fan mails that arrived on the same day. Why? Because they come from two ladies who have nothing in common, at all, except their love for Gimpy and his message. Sasha is a twelve year old who lives in Florida. Dorothy is a 91 year old, great-great grandmother who lives in California. Gimpy’s Secret, goes directly to the heart thus by-passing age and location. His message is, indeed, UNIVERSAL! It’s what’s missing . . .
1. I’m 12 and I know Gimpy’s Secret. I would love to have my note on Gimpy’s website (I am going to be famous!) I was 12 on Dec 13th. I loved the book! I literally started to cry when I thought Ellen had lost her best friend! Now I know the secret! With Love! 2. I’m 91, and I need 9 books for my great-great grandchildren. Well, All I can say is that I was anxiously awaiting this book. And it didn’t disappoint! I’ve been a Christian since I was 13 years old and I have to say that my life since then has been a roller coaster with God. Up until recently I didn’t quite see the bigger picture about what God is or what he truly wants from us. I couldn’t put this book down when I got it. I read half of it right away, stopped ate tried to do other things, but it kept calling me. So, I finished it and….Wow! It is absolutely amazing. I don’t know where the idea came from or how, but it was definitely the Lord working here. Gimpy is like Jesus. At least that is how I took it. Sometimes we can’t hear him until we are down on our knees and desperate for help. Then He speaks to us. And if your heart is open you can hear him. Love is the “Secret”! that is so true, b/c God is love. Whoever lives in love lives in God, and God in him. 1 John 4:17. I can’t thank you enough for this powerful little message. I am going to share it with everyone! Absolutely amazing! Thank you, so MUCH for your beautiful book! I enjoyed Gimpy’s Secret, very much. What a wonderful , loving and caring family you write about. They are SO blessed. And I am blessed that you shared your book with me! I, in turn, am sharing your book with family and friends to “Spread The Love!” Wishing you mush success with Gimpy’s Secret. God certainly blessed you with “TJ”…what a remarkable young man he was! “. . . I’m telling you, I felt like I was in the book with the characters! Something So Grand and Wonderful! Gimpy is really a special creature/creation. He has the ability to change lives. So Nice! I’m so tickled and hope that my kids will have soaked up some of Gimpy’s knowledge, too. We are going to put his lessons to work for us. We are VERY excited about the results. Thanks for such a Precious Gift! Gimpy’s Secret suggested for Newbery Award! We had a wonderful Christmas and hope you did too in all that beautiful snow. The book arrived. Thank you. George and I have read it and now Sasha and Tom are reading it too. Yes, it should be read by all children. I think the author should also submit it for a Newbery Award. The author has our permission to use our full names, city and state. We love the book! It’s Real Good! Couldn’t put it down! I received my 6 books yesterday. I started reading my copy and couldn’t put it down. I finished it about midnight. I sent a copy to each of my four grandchildren. I hope they enjoy it as much as I did. It’s GOOD, E.H. McLellan, It’s REAL GOOD! I think I got the Fedex lady to order one and gave my last book to my 90 year old Mom. Please send me 6 more. Thank you for writing this book! My eight year daughter loves Gimpy’s Secret so much that she keeps her book by her bed side. My 62 y/o personal physician, for over 20 years, absolutely loves Gimpy’s Secret. Not one to be too outspoken, he told me he had an idea. He said, “Gimpy’s Secret should be on EVERY school bus for kids to read”! Sounds like the perfect prescription! Elaine….Boy, do you have a winner here….I just couldn’t put it down until I finished the whole story. I’m not kidding but this book should be a “read” for every school child in the world….and not just once. Thanks a million for sending it to me…it brought tears to my eyes, but tears of joy. This little book is a unique and quite remarkable gem among children’s books. I found it to be especially powerful as a family read. My little girls couldn’t get enough of it and are asking me already to read it again. It serves as a wonderful examination for families. Its simplicity is refreshing and while not deeply filled with religious overtones, it is a wonderful way to subtly introduce our young ones to the very real call to love not just in word but in truth and in action. We have taken Gimpy’s secret into our prayer life as a family and are asking the Lord to help us now that we have read this wonderful and delightful story to really put it in to practice. We are discovering, just like Ellen that there are so many moments throughout the day that we can love. It is so nice to know what this really looks like and what practical things we can do to make love present in our homes. Besides…. Grandma Shaw’s Apple Cake is amazing! What a wonderful little bonus this baking project is…. it is the perfect opportunity to really see”the secret” at work. Enjoy! This will change a lot of people’s outlook on life/love! What a terrific story! Your children’s book could be a book for adults, too! I read it all this afternoon… such a smooth reading and it WOULD be excellent reading for all elementary aged students! I can see teachers reading this in classrooms or parents reading with their children at nights. I could tell this book was well thought out and in the making for years. Hats off to you and we are honored that you would share this with us. Congrats again! Again, thank you for the SIGNED book!! !